It’s not like New Orleans Saints fans really need much help getting amped up for Sunday’s NFC Championship tilt against the Los Angeles Rams at the Mercedes-Benz Superdome. But they’re going to get it anyway, and from some noteworthy performers. 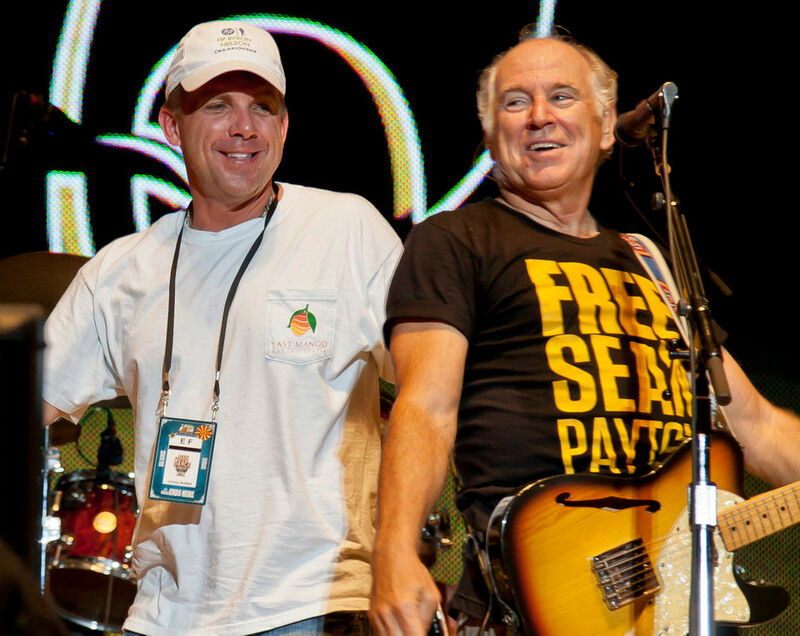 Inside the Superdome, Gulf Coast native and Saints superfan Jimmy Buffett — who has not only attended Saints games and practices in the past but has also had Saints head coach Sean Payton perform with him on on-stage — will perform the National Anthem before the game. This is not the first time Jimmy will sing the national anthem at a Saints game. He last did the deed in 2006. The NFC Championship game will air at 3:05pm ET on Fox. Jimmy Buffett performed Wednesday night on PBS’ “A Capitol Fourth” program from Washington, DC. The cast of ‘Escape to Margaritaville’ performed a medley of songs from the musical with Jimmy joining them at the end to perform “Margaritaville.” He later joined the Beach Boys for a couple of songs. “A Capitol Fourth,” the annual PBS concert on the Fourth of July, will showcase Jimmy Buffett, the Beach Boys, the Temptations, gospel superstar CeCe Winans and violinist Joshua Bell this year. John Stamos returns as host for the telecast at 8 p.m. on the nation’s 242nd birthday, the program announced Thursday. Opera great Renée Fleming will perform “You’ll Never Walk Alone” from “Carousel” to honor service men and women. She is starring in the current Broadway revival of the Rodgers and Hammerstein musical. Other performers include artist Pentatonix, country singer-songwriter Luke Combs and “American Idol” alum Lauren Alaina. Additional performers will be announced. The National Symphony Orchestra will perform under the direction of conductor Jack Everly in the concert from the West Lawn of the U.S. Capitol. Buffett will perform with the Broadway cast of “Escape to Margaritaville,” which will start a national tour. This year will be the 38th annual broadcast of “A Capitol Fourth,” which concludes with the traditional rendition of Tchaikovsky’s “1812 Overture” with live cannon fire supplied by the U.S. Army Presidential Salute Battery. 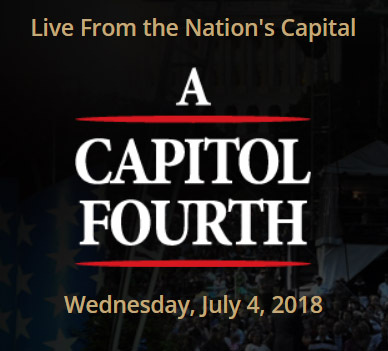 The concert can be heard live in stereo over NPR member stations nationwide, and it will be live-streamed on PBS, You Tube, Facebook and www.pbs.org/a-capitol-fourth, It will be available as Video on Demand from July 4 to July 18, 2018.